Remember, we’re always here to help with any essays required! Autumn is coming, which means cooler weather, colorful leaves, and, for high school seniors, college applications. Although many U.S. students may consider applying to schools on a different coast, they tend not to seek schools in Canada. Recently, this has begun to change. In fact, some Canadian schools saw up to a 70% increase in U.S. applications at the end of 2016, something many associate with the changing political climate in the States. Canada, our physical and cultural neighbor, has much to offer college students. If you’re thinking about applying to schools in Canada, here are some things to consider. It’s often cheaper. Studying at a Canadian school is usually cheaper than attending out-of-state public universities and private institutions. Because US currency is stronger than the Canadian dollar, U.S. dollars go further. Finally, most Canadian schools accept American loans and many also offer scholarship opportunities. Strong academics. With three Canadian universities ranked within the Top 50 universities in the world according to US News, you’re sure to be challenged, stimulated, and ultimately well-educated. An international experience wrapped in familiarity. Though Canada shares a great deal in common with the US, you would still be in a country with different history, culture, cuisine, and people… all this without needing to learn another language – unless you are interested in exploring francophone Canada. It’s often easier to apply. Most Canadian universities do not have as lengthy and complicated a process as do most American schools. It’s unfamiliar. You’d be entering this new, pivotal stage of your life where you might feel like a stranger. You’ll have to learn to navigate new currency, cultural norms, and ways of seeing the world – while also beginning a new academic phase. The weather. Canada is geographically diverse but, unless you are interested in moving to British Columbia, you’ll be contending with snow, snow, and more snow. A lack of name recognition. Though there are institutions, like McGill, whose names carry weight internationally, few schools have the instant name recognition of the bigger American schools. That said, some schools have very strong networks of alumni both in Canada and across the world. Bureaucracy and logistics. Though the application process may be easier, you’ll need to apply for a study permit which is not unduly difficult but is an additional step. On the bright side, your study permit doubles as a work permit, allowing you to work 20 hours a week. Furthermore, many Canadian schools are in urban centers and many students live more independent lives than those of their American counterparts, involving living in their own apartments, signing a lease, and the like. University of British Columbia: UBC, with campuses in Vancouver and Okanagan on Canada’s west coast, boasts of being the most international university in North America. You would join over 50,000 students enrolled in over 200 study programs. McGill University: Located in the heart of Quebec, Montreal, McGill is a slightly smaller university, with around 30,000 students in over 1,000 programs of study. Though English is the main language of instruction, McGill’s and the wider Montreal community reflect the francophone nature of Quebec. You’ll need to brush up on your survival French! It’s less streamlined. Unlike in the US, there is no national Common App system, although some schools participate in province-wide application systems. You’ll apply to each school individually. ACT or SAT scores (writing portion may be requested), and sometimes SAT Subject Tests. Within the department you apply to, you might need to provide supplemental documents, such as a personal statement or proof of certain coursework. And that’s it! You generally won’t need to provide counselor or teacher recommendations, extracurricular activities, or do an interview. Application deadlines are convenient. For fall entrance, most deadlines are in January, so you can align your Canadian applications with American ones. So, if you’re looking to expand your horizons and add to your options, take a look at our northern neighbor – You might find something you like! 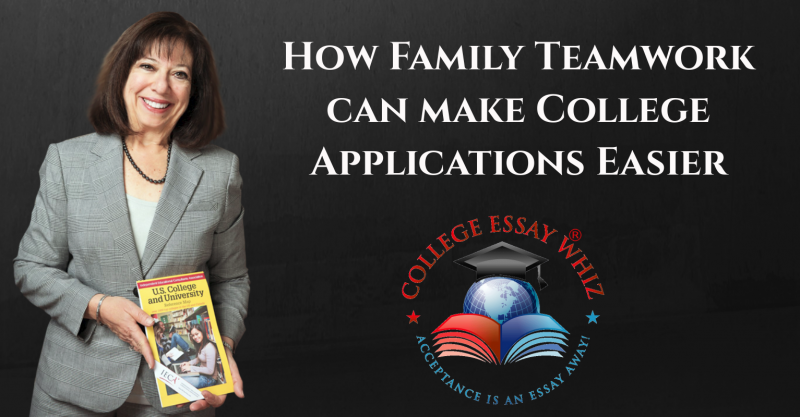 College labels can get confusing – College Essay Whiz breaks it down for you! National Universities offer a full range of undergraduate majors as well as master’s and doctoral degrees. In many cases, they place strong emphasis on research and receive federal money to support their research endeavors. There are 311 National Universities – 190 public, 114 private and seven for-profit – based on the categories that the Carnegie Classification of Institutions of Higher Education established. What are National Liberal Arts Colleges? National Liberal Arts Colleges emphasize undergraduate education. To be included in this category, colleges must award at least 50 percent of their degrees in liberal arts disciplines, such as languages and literature, biology and life sciences, philosophy, cultural studies and psychology. There are 233 National Liberal Arts Colleges – 213 private and 20 public. No for-profit schools are included. What are Regional Universities and Regional Colleges? Like National Universities, Regional Universities offer a full range of undergraduate programs and provide graduate education at the master’s level. However, they differ by offering few, if any, doctoral programs. Of the 659 Regional Universities, 259 are public, 388 are private and 12 are for-profit. The 324 Regional Colleges – including 116 public institutions, 193 private schools and 15 for-profits – focus on undergraduate education but grant less than 50 percent of their degrees in liberal arts disciplines. The Regional Colleges category includes some institutions where only a small number of the degrees awarded are at the bachelor’s level.